Mascara Monday? Don't mind if I do, especially when it's a new addition to the Make Up For Ever family. What better way to start the week than with a new mascara? I think Mondays would be much more likeable if they came with mascara. Someone should make that a thing, yeah? 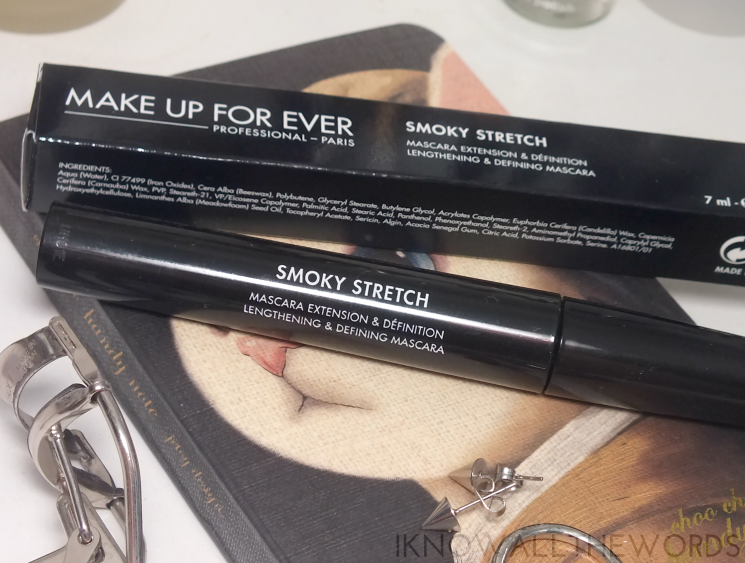 Since that likely won't be happening anytime soon, get yourself a tube of Make Up For Smoky Stretch,it will definitely make Monday mornings a little brighter. Read on for more info! 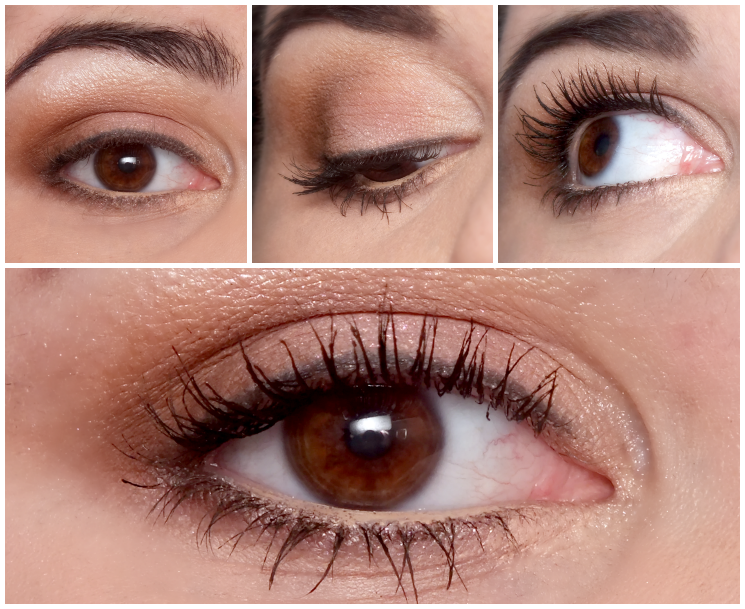 When it comes to mascara, I want it all- length, volume, definition... you get where I'm going with this. 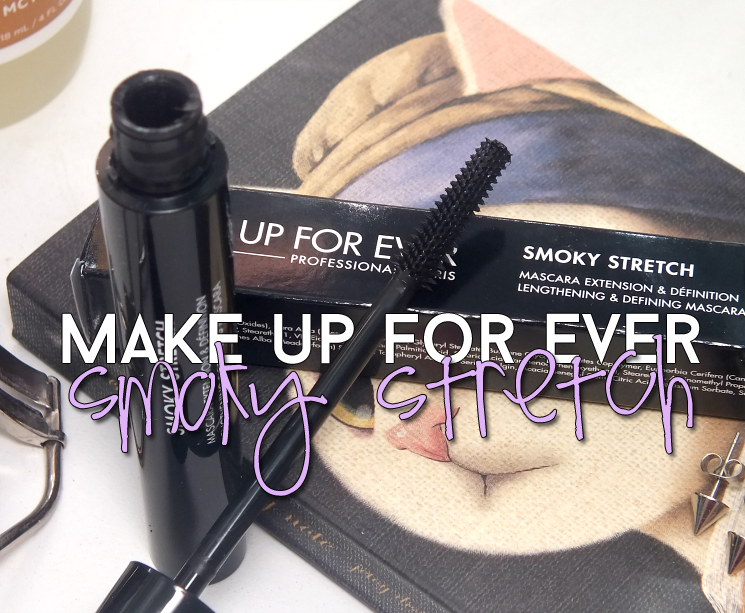 Smoky Stretch does a great job at giving lashes exactly that, a little bit of everything. The formula is touted as being lengthening and defining, with a formula containing Locust Tree Alginate Jelly to define and separate lashes and Silk Protein to elongate and volumize, all while being smudge-proof and fast drying. A tall order, but after using this for a few days, I have to say it really does do it all. 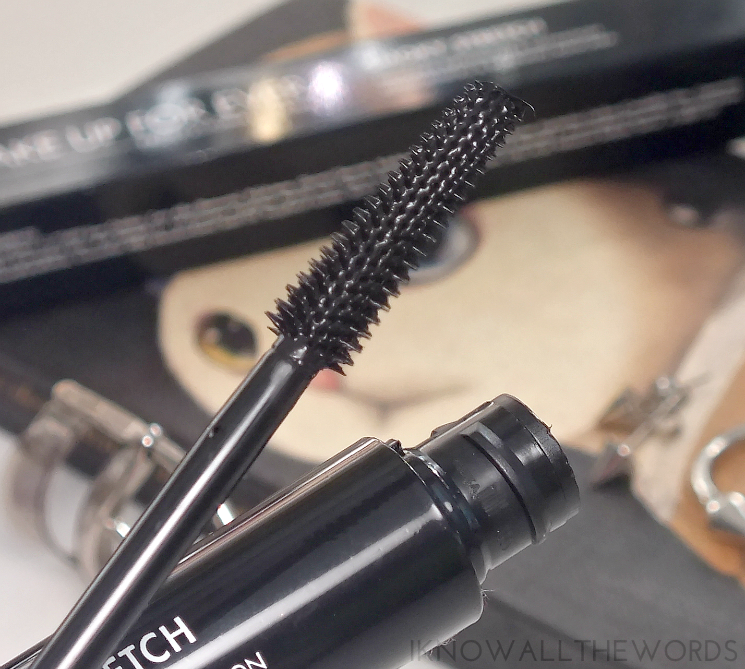 I was quite pleased with this mascara from the very first application as the texture is perfect! It's not too wet and it doesn't make a mess- something many mascaras suffer from when first opened. The brush, which is a long, slim, plastic brush with fairly short, little bristles, works quite nicely to grab every lash and is small enough to coat bottom lashes without getting product everywhere. I was impressed with how much length and volume one coat of this gave my lashes and that you are able to build this up easily without lashes getting clumpy or overdone. I used two coats- which is really all you need- and love that this not only gives length and definition, is intensely black, but also how well it holds and keeps a curl. I find my lashes don't have as much curl as they once did, so curling them is a must, and there is little worse than a mascara that pulls them back down. Overall, I'm really enjoying Smoky Stretch! It wears very well- it lasts the whole day without smudging or flaking, is easy to remove, and as mentioned, keeps that curl in place. What do you look for in a mascara? Tried this?